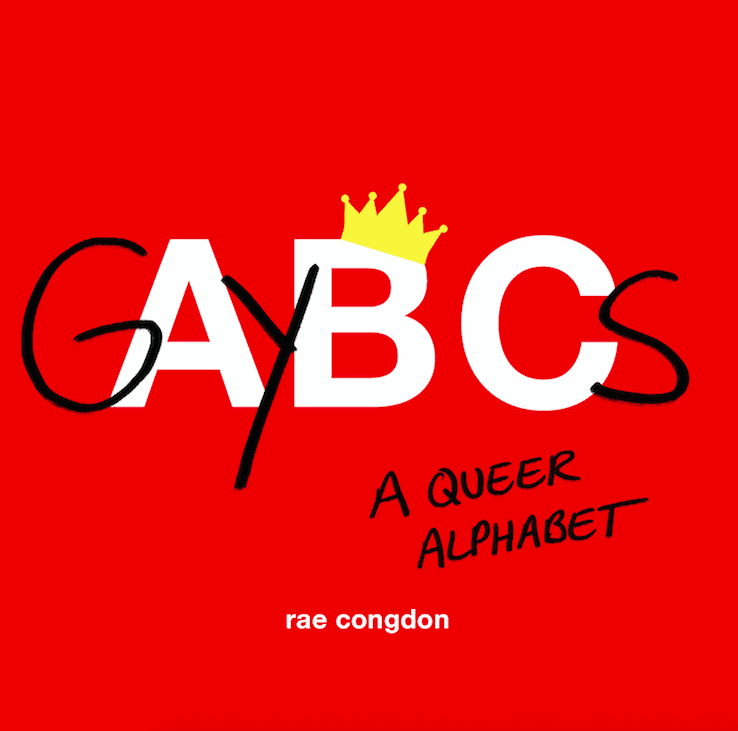 Written and illustrated by Congdon, this playful and subversive alphabet book aims to spread awareness and demystify queer terminology for everyone. Instead of apple, ball and chick, this book’s ABCs are ally, bisexual and cisgender. With clear definitions and clever illustrations, GAYBCs is accessible to everyone from teenagers to grandparents and those in the LGBTQ+ community, as well as family, friends and allies of all backgrounds. 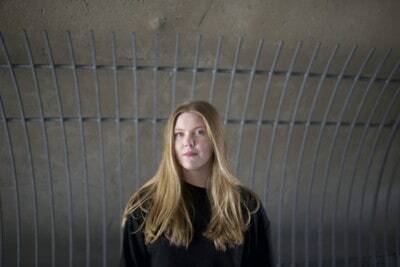 We caught up with Congdon this week to find out more. SDTC: When and how did you come up with the idea for GAYBCs? RC: I designed the fully realized version of the book during my last semester of school, simply as a portfolio piece that my peers, friends and family could enjoy. Design is a form of problem solving, and I recognized that the general knowledge and awareness of LGBTQ+ terminology was falling short. The inspiration for the concept came from the want to create something that would be a simple yet informative and fun way to learn about queer terms. The heteronormative and cisnormative (along with patriarchal and many other) societal structures have been weighing us down and preventing queerness from being normalized. The use of a children’s book format aims to show how the earlier the words are learned, the better off everyone will be. Just like we know what a ball is without question, we should be fully aware of what it means to be bisexual. Why did you decide to write this book? Why is it so important for Canadians to learn these terms? I wrote this book because it was something that was missing from the shelf. I have seen many alphabet books that follow very formulaic formats and are directed to a specific consumer. GAYBCs grabs your attention right away and puts forward a political statement while appealing to all kinds of audience members. Queer history is a gap in our education and deserves a prominent spot in a non-niche literary group. It’s essential for everyone to keep abreast of queer terminology, because having that knowledge can lead to informed conversations that help erase the taboo or unease that can sometimes come along with the topic. They are simply words that fellow humans identify with, and their validity should be at the same level as any other word. Words are the most powerful form of communication that we have, and it’s important to use them with consideration and to be aware of how the context and tone in which they are used can affect others. How did you decide which words would be included in GAYBCs? Did you ever struggle trying to choose which ones would make the cut? This was one of the most difficult parts of the process, but it was also the most fun. Having variety was very important—a mix of words about gender, sexuality and queer history, as well as some more general terms like equality and youth. It was a challenge to figure out which “original words” should be put in to match up with the new words being added because the illustrations needed to make sense once the modifications were made. There were of course so many queer terms to choose from, and we did our best to have a diverse selection. Ultimately, I hope that one day the book becomes irrelevant and that we’ll abandon labels and othering terms entirely. But for now, I hope it can make at least a small, positive ripple. Why was it important to take a playful, cheeky approach with the design and illustration of the book? The book is an almost exact reflection of how I like to absorb information in my own life; there has to be a clean design and clever content, or else I probably won’t pay attention. I think that approaching something with humour and simplicity is one of the best ways to connect with people. Our attention spans are slowing deteriorating and book formats need to keep up with learning trends and human behaviour. At the end of the day, GAYBCs has a serious message but expresses it in a way that allows people to think and reflect without too much effort. Some of the proceeds of GAYBCs are going toward Rainbow Railroad. Can you tell us about this organization and why you support it? Rainbow Railroad is a Toronto-based organization that aids LGBTQ+ people around the world who are facing persecution in their home countries due to their gender and/or sexual identities. The organization came to my attention through the media coverage of the anti-gay persecution in Chechnya. When I first designed this book, I had no intention of ever gaining any form of personal benefit from it. I feel that it’s my responsibility to use my privilege, resources and abilities to help push things forward in any way possible. Rainbow Railroad does incredible work, and I’m hoping GAYBCs will play a part in raising funds and awareness to support it.